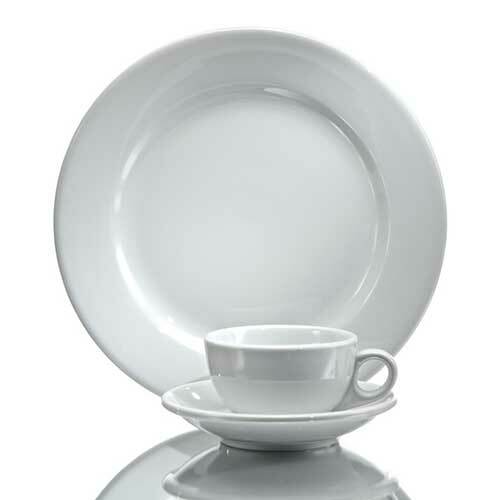 Oneida's Buffalo Bright White China Dinnerware is a classic, bright white porcelain pattern that fits perfectly into almost any decor of a casual or fine-dining establishment. Each piece in this durable pattern has a high performance glaze that resists scratches and metal marks created by flatware. Oneida's Buffalo Bright White dinnerware is microwave and dishwasher safe and also covered by Oneida's limited 1-year, no-chip warranty.